Royal jelly's use for autoimmune issues is becoming more and more prevalent, just as the need for effective natural solutions escalates. There have been recent studies showing royal jelly's effect on balancing immunity. 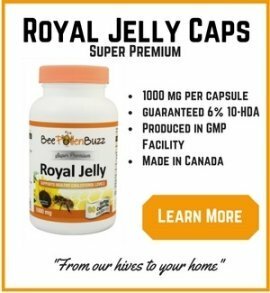 In animal studies, Royal jelly is exhibiting an ability to 'modulate' the immune system - it helps to either calm down an overactive immune system or ramp up an under-active one. 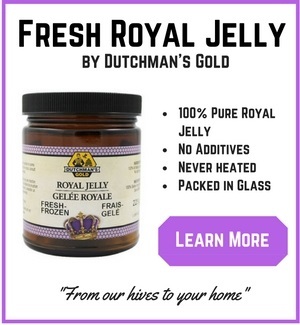 There have studies on rheumatoid arthritis and royal jelly. Rheumatism is an autoimmune disease, like food allergies, lupus and Irritable Bowel disease. Taking royal jelly may help your autoimmune condition but I'd recommend you use caution if and when trying this approach. You might even consider consulting with a Naturopathic Doctor while using bee products like royal jelly or propolis. The group of scientists that have recently shown that royal jelly has potent anti-allergic properties in mice decided to do further research to determine what compound in royal jelly has this effect. The scientists first took a special protein out of royal jelly called a glycoprotein and exposed it to mice spleen cells. They found that this protein suppressed what are called IL-2 and IL-4 cells. These are a key component of immune signaling and are required for the activation, proliferation, and survival of T cells. T cells are a type of white blood cell involved in rejecting foreign tissue, regulating immunity, and controlling the production of antibodies to fight infection. So what does this all mean? Well, it means that one of the major royal jelly health benefits is it's ability to modulate or regulate your immune system. 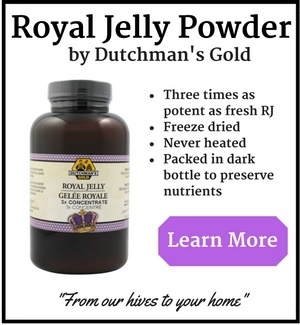 Essentially, Royal Jelly acts like the conductor of your immune system. This is important because either an under active or overactive immune system is not desirable. An under active immune system leads to increased chances of getting diseases such as cancer or even just getting the cold or flu more often. An overactive immune system can lead to auto-immune issues such as lupus or rheumatoid arthritis, among others. Essentially, your immune system is confused and attacks itself. So, as you can see, the importance of a healthy, balanced immune system can not be overstated. 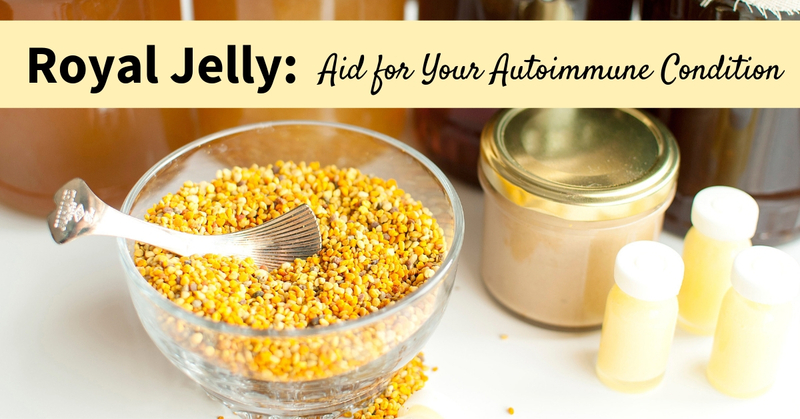 If you decide that royal jelly might be of use for your autoimmune condition, start by taking small amounts of royal jelly daily. For example, if you have a 1000 mg capsule, take 1/4 of a capsule to begin. Over time if you tolerate royal jelly well, work up to taking 2000 - 3000 mg per day or one half teaspoon of fresh royal jelly. As always, inform your doctor of what you are taking, especially if you are taking other medications and be sure to stop taking royal jelly if you experience side effects.